B&W Tek spectroscopy: convenient, fast, and reliable results for the pharmaceutical, biomedical, physical, chemical, safety and security, and education sectors. 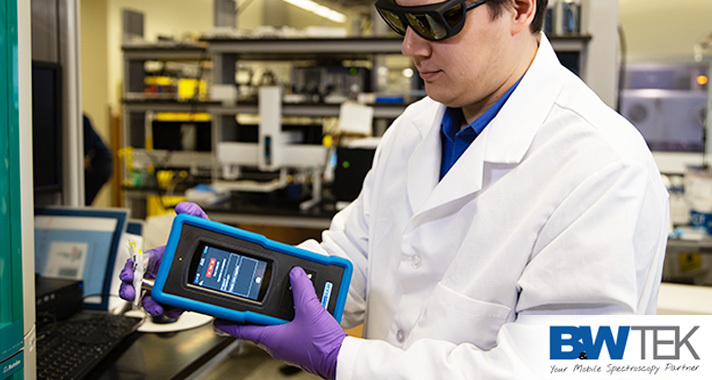 B&W Tek’s long-standing expertise in photonics, lasers, spectrometers, and chemometric technologies has yielded a full range of mobile spectroscopy solutions. Established in 1997 as a producer of custom solutions utilizing diode lasers and diode-pumped solid state (DPSS) lasers, B&W Tek has grown into a full-service provider of spectrometers, portable and handheld Raman analyzers, and Laser-Induced Breakdown Spectroscopy (LIBS) solutions. B&W Tek offers users in the pharmaceutical, biomedical, physical, chemical, safety and security, and education sectors convenient, fast, and reliable results. B&W Tek spectroscopy instrumentation is now available at Metrohm Australia and Metrohm New Zealand.